Android users are constantly challenged by lack of two resources as this OS is a high consuming platform. The first one refers to the battery that discharges prematurely; second, the high-speed data volume which gets consumed, thus leaving us frustrated with its snail-pace surfing. Earlier, network operators provided unlimited data access to smartphone users; however, the appreciating data demand witnessed the change as carriers started capping data and increased talk time instead. Today, the scenario appears different as providers offer unlimited data usage plans, yet you may feel burdened with the high charges, speed regulation or its hidden limits. It’s best to estimate your data requirement so that you could decide on which data allotment best suits your need. Here’s how you can set up your data usage limits and alerts to keep a close check on your data usage while optimizing the benefits of your data plans. Whether using an Android smartphone, tablet or any Android version, you could try these simple yet effective steps for data usage reduction. Background data refers to all data that is being used by applications, games or system services even when you are not actually using the particular app. This includes all internet traffic such as Facebook and Twitter feeds that keep updating, email syncing, as well as weather widgets. Head to Settings and Data usage and Restrict Background Data. This will disable it completely. For individual apps, go to Settings and Apps (depending on which version of Android you are using). Remember that sometimes it’s a third-party app and not your phone that is responsible for high data consumption. You can identify the apps that consume more data and restrict their background usage by this method. You can also change your sync settings for Google services in Settings, head on to Accounts and Google, select the account and subsequently un-check the services you do not wish to sync automatically. Android has been updating fascinating functions regularly.Some apps and games are dependent on internet access to function efficiently. Though this could be either a security measure or need to retrieve data, most games and apps don’t really need internet access after the initial download. Streaming online content like music and videos, using navigation tools like Google Maps could also peak data usage. Thus, look for such offline apps and services that could save your mobile data. This means that if you like a particular video, instead of streaming it online, use an option to make it available for offline use or download mobile apps for PC and transfer them later to your chosen device. Google Maps offer options to save maps and navigation routes for offline use while Google Docs enable saving your documents offline too to support data saving. The Chrome browser is often overtly used for its efficiency as it also enables synching multiple services. It’s important to note that the browser offers an option known as Data Saver that can reduce the page load size by compressing it while simultaneously caching to save data on every loading action. 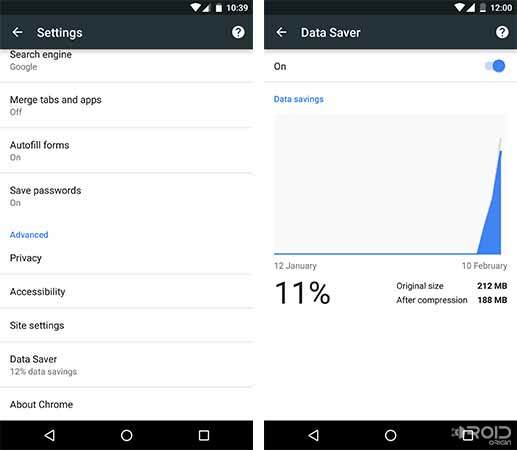 Though Data Saver might slow down the process of loading, it could save you additional data. Go to Chrome, tap the 3-dot menu on the top right of your screen, and select Settings. Scroll down to locate Data Saver under the Advanced section. Tap and enable it. Automating functions on your Android device could lead to auto-updating apps that eventually drain a lot of data without any notification and your knowledge. By disabling this service, you could save a lot of data. If you want to manage individual apps, go to My apps, choose the specific app, and then tap the overflow menu to either check or un-check the desired Auto-Update accordingly. There are some more ways of condensing data usage, for instance, using a light-weight browser, switching to Wi-Fi hotspots, and using Bluetooth to share videos and photos. 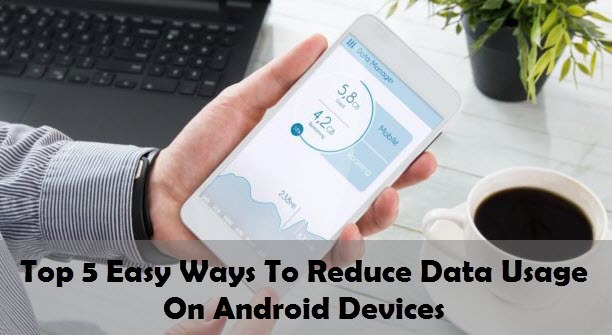 These tricks could add up to your list for preventing your Android smartphone from excessive data consumption, thereby making it increasingly efficient.